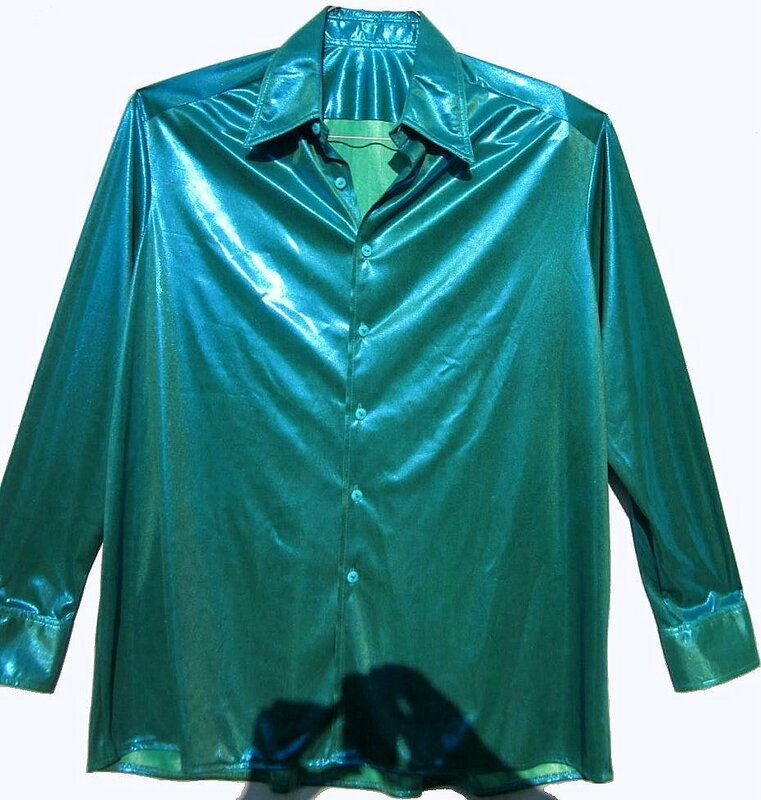 This is a very shiny jade colored disco shirt. The liquid looking shirt a loose 52" fit. It is 56" around at the armpit level for a comfortable 52" fit. The total sleeve length is 34.5". The length is 32.5". The shirt can be worn inside or out. It is machine washable inside out on gentle or hand wash. Hang dry.